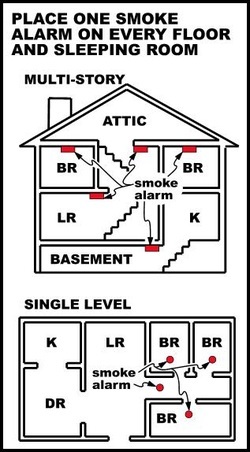 Why Should My Home Have Smoke Alarms?In the event of a fire, properly installed and maintained smoke alarms will provide an early warning alarm to your household. This alarm could save your own life and those of your loved ones by providing the chance to escape. Disclosure: Teays Valley Fire Department does not officially endorse a particular brand of detector. We only recommend that the detector is new and in proper working order.